The Trump Transition and a Red Apocalypse? Political observers and the media, unlike scattered groups of progressives, have accepted a Trump presidency as fact and are now focused on the transition from President Obama and its progressive executive branch. Many may be surprised to realize Donald Trump even had a transition team, given the attention to his bombastic and provocative campaign rhetoric. It’s increasingly clear, however, despite the recent shake-up at the top of the transition pecking order, many people have been working steadily behind the scenes for months to put people in key positions of influence by January in anticipation of a Trump win. I was planning to ignore much of this until I recognized several names on the leadership team, prompting me to dig deeper. 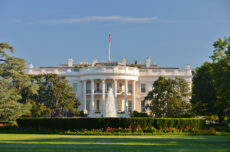 While I have not held a position in the Executive Branch, in my 30-plus years of policy work I have briefed senior executives on policy issues in both the Bush and Obama administrations, worked with federal staff and elected officials, and helped scope out legislative agendas for members. I have also worked directly with two key people on the current transition team, am familiar with many of their organizations, and know several others by reputation and through reading. So, here are a few thoughts, recognizing that all the following could change tomorrow because transition processes are very dynamic and we can only guess at Trump’s real management style. This White House is shaping up to be the left’s worst nightmare, a Red Apocalypse. Trump campaigned as a pragmatic populist—and I have seen little to suggest he has personally become more principled—but his appointment of VP elect Michael Pence to manage the overall transition suggests the people put in key management and policy positions will be largely principled conservatives. He has worked for the free-market Indiana Policy Review Foundation (a think tank I have worked with extensively), run a radio talk show, and has consistently drummed the conservative line. This suggests his hand will direct the appointment process and shape policy implementation, but as a former congressman, he is also in tune with the need to work with Congress to move an agenda forward. If Trump attempts to run government like he does his business, these appointees will have a lot of leeway and discretion in designing, interpreting, and implementing policy. Trump is not known for micromanagement. He delegates, focusing on macro performance and strategic issues and problems, rather than managing and dictating the details of his business operations. He will likely focus on the three or four main issues he emphasized in his campaign—immigration, jobs, international trade—and leave the rest to key managers and policymakers. This means that political and other appointees will matter a lot in a Trump Administration. This bodes well for innovation and free markets in some areas (but not others). A Trump Administration will most likely be “kinder and gentler” than people think. Former Ohio Treasurer and Secretary of State Ken Blackwell appears to have been appointed to direct domestic policy issues and areas. I worked with Ken and his senior staff while at the Buckeye Institute as Vice President for Research and then President between 1994 and 2004. Ken is undoubtedly a steadfast social conservative, but he is also very principled and respectful of those who disagree with him. He actively reached across aisles to put together coalitions. I believe he would use this lens for managing the transition of key staff. He is deeply interested and dives down deep into policy and examines all the angles of a policy position and then commits to the one that he believes is the right one. I saw him in a number of circumstances where he could have backed off a strong free-market policy stance but instead held his ground. He is likely to look for candidates with similar qualities. The Trump transition team leaders are not shrinking violets or people prone to compromise on core values or principles. Extensive policy knowledge, understanding, and experience are not an anomaly. Shirley Ybarra is another example. She appears to have a key role in directing the transition for the U.S. Department of Transportation, a department that will be integral in any new spending on infrastructure. I worked with Shirley closely for a number of years while at Reason Foundation, and she has deep, deep knowledge of transportation issues and policy. She is also pro-market, and her network is extensive. I have less personal knowledge of others, but David Malpass is a serious economist with extensive policy experience and a strong free-market bent. Myron Ebell (EPA) has extensive knowledge of environmental policy and is a key staff member of the free-market Competitive Enterprise Institute. Similarly, Andrew Bremberg has a solid background in heathcare policy. On the downside, for libertarians at least, are others such as Dan DiMicco, who is leading the charge for renegotiating trade agreements such as NAFTA. While I disagree with him on trade, as CEO of Nucor he at least has deep knowledge of the interworkings of these trade deals in specific industries (although protectionist tariffs would benefit his industry substantially). None of this is to suggest Trump will lead an Executive Branch even remotely libertarian. Several of the key transition staff are free market, but a hard conservative line is likely to emerge in the Department of Justice, Office of the Attorney General, and law enforcement. This will probably create challenges for protecting civil liberties. We have yet to see what foreign policy will look like, but Trump has signaled opposition to specific wars, not military intervention more generally as a political tactic. So, libertarians should brace and prepare for the worst even as a few rays of light crack through on economics, environmental, and healthcare policy. Nevertheless, the transition team leadership suggests this will not be a presidency that is unhinged or unprincipled, unlike the campaign. Presidential Trump will appoint more than 4,000 people to executive positions in the federal agencies and departments. Just 1,200 require Senate confirmation. Another 1,400 serve in confidential and policy roles that do not require Senate confirmation or approval. And still others are executives who work in appointed positions that are below leadership levels requiring confirmation. While much of the media attention has focused on the top, high-profile members of the transition team, clearly most policy will be interpreted and implemented by those completely off the media radar. So, the key people in charge of the transition team and the vetting of candidates for particular departments will be critical.